Scottish synth-pop trio Chvrches have been touring their tails off on the promo trail behind their debut LP The Bones of What You Believe, and are now showing fans the many ups of tour life in the good vibes-fuelled travelogue video for album track "Recover." The video packages a number of concert shots of the band sweating it out on stage, tapping samplers and keyboards as rows of nearby fans cheer them on. There's offstage activity to be seen too, though, from backstage shenanigans to pit stops at arcades and carnivals, the latter giving vocalist Lauren Mayberry an uplifting experience on a ferris wheel. 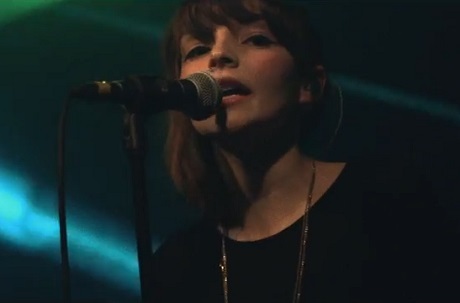 You can check out what Chvrches gets up to on the road via the video down below.